Sheep have very good memories. They can remember at least 50 individual sheep and humans for years. 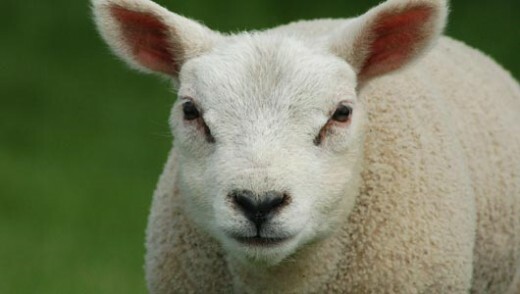 Sheep have ben shown to display emotions, some of which can be studied by observing the position of their ears. Contrary to popular belief, sheep are extremely intelligent animals capable of problem solving. They are considered to have a similar IQ level to cattle and are nearly as clever as pigs. Like various other species including humans, sheep make different vocalisations to communicate different emotions. They also display and recognise emotion by facial expressions. Female sheep (ewes) are very caring mothers and form deep bonds with their lambs that can recognise them by their call (bleat) when they wander too far away. Wild sheep tend to be larger than domesticated species, the largest (Argali) being 1.2m tall. They also have longer horns which they use to defend themselves from predators. Egyptians believed that sheep were sacred. They even had them mummified when they died, just like humans. The ancient Sumerians (4000 – 2000 BCE), who are thought to have developed the first form of writing (Cuneiform script), immortalised sheep in the form of gods in their religion. The meat of sheep is widely eaten by people across the world. Sheep milk is also drunk and used to make other products such as cheese. Many people who consume animal products would like to choose products from animals kept in higher welfare systems. However welfare labelling on products can be confusing.